Asian stocks fell to six-week lows on Monday and emerging market currencies wilted as investors sought the safety of the greenback in the wake of Friday\'s deadly attacks in Paris and downbeat economic data. Asian stocks fell to six-week lows on Monday and emerging market currencies wilted as investors sought the safety of the greenback in the wake of Friday's deadly attacks in Paris and downbeat economic data. MSCI's broadest index of Asia-Pacific shares outside Japan fell more than 1 percent in early trade after a 3 percent loss last week. Leading the losers were the Nikkei stock index which tumbled nearly 1.3 percent, nearly wiping out last week's 1.7 percent gain as latest economic data undershot expectations. Data released before the Tokyo market opened showed that Japan's economy slipped back into recession in the July-September quarter, contracting at a 0.8 percent annualised rate, compared with the median estimate for a 0.2 percent contraction. The widely tracked CBOE volatility index or "fear gauge" was at its highest level since Oct 2. "Risk aversion is on the rise and we are seeing broad-based U.S. dollar strength across the board and this may continue until the year end as recent economic data has also disappointed," said Mitul Kotecha, head of Asian FX and rates strategy at Barclays in Singpore. Recent economic data from China, where stock markets have recovered some of their poise after a summer collapse, has disappointed global investors. Credit activity in China's financial system dropped to its lowest level in 15 months in October, while data last week showed steel consumption, a key measure of economic activity, slowed further. Stock futures were pointing to another weak start on Wall Street after main indexes shed about 1 percent in light volume in late trading on Friday. News of the attacks by gunmen and bombers that killed 132 people in the French capital came after U.S. markets closed. Losses for equity punters translated into gains for bond investors. Yields on 2-year U.S. Treasury debt, the part of the yield curve most sensitive to rapid changes in investor positioning, edged lower to 0.83 percent from 0.86 percent on Thursday, retracing part of its impressive rise from late October. In currency markets, the euro dropped about 0.5 percent to $1.07205, after logging a flat performance last week. 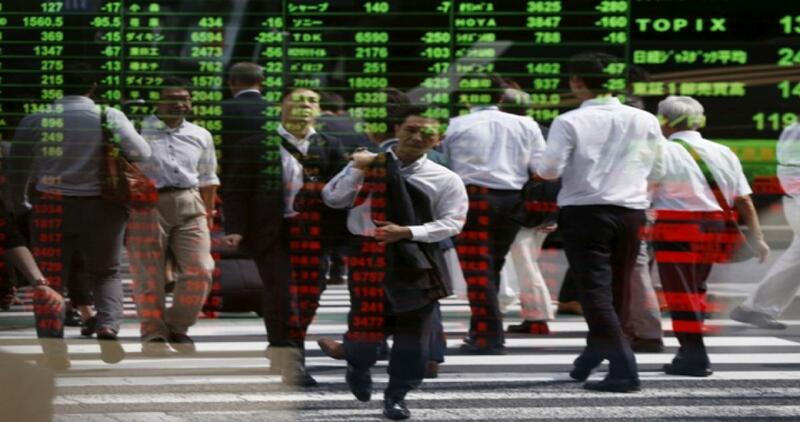 It was down 0.5 percent against the yen at 131.24 yen. "Currency markets have responded to the atrocities in Paris over the weekend," said Richard Grace, chief currency strategist at Commonwealth Bank of Australia. The dollar slipped about 0.1 percent against the yen to 122.43. The dollar index, which tracks the greenback against a basket of six major rivals, was broadly flat at 99.082. French warplanes pounded Islamic State positions in Syria on Sunday as police launched an international hunt for a man they believe may have helped organise the deadly wave of assaults. "What might be affected from the Paris attacks could be a change in spending from the consumer over the coming quarter and a possible shift in confidence," Evan Lucas, market strategist at trading platform provider IG in Melbourne, wrote in a note to clients on Monday. In one sign of stability for the euro zone, Greece and its euro zone creditors reached an agreement on many issues in the reform program that Athens is implementing in return for loans, the head of euro zone finance ministers Jeroen Dijsselbloem said on Sunday. French financial markets will be open as usual on Monday, with extra security measures taken for staff, stock and derivatives exchange Euronext said a day after the attacks. Markets in the Middle East, which trade on Sunday, were hit hard, though part of that decline was due to last week's drop in oil prices. Crude oil futures registered their biggest weekly loss in eight months, dropping 8 percent on the week for their worst performance since March, as growing inventories fed into fears of oversupply. Futures retraced some of the lost ground in early Asian trade. Brent was up 1 percent at $44.92 a barrel after shedding 1 percent on Friday, while U.S. crude was up about 0.54 percent at $40.96 a barrel after giving up 2 percent. Spot gold added about 0.5 percent to $1,091.96 an ounce, moving away from its low on Thursday of $1,074.26, which was its deepest nadir since February 2010.